Close proximity to beautiful beaches is only one of the perks of Bear Creek, an active adult community for ages 55 and older in the eastern coastal area of Central Florida. This gated community, nestled in a secluded, woodsy area of Ormond Beach, offers high-quality manufactured homes that allow our residents to live in affordable comfort and style without giving up easy access to the activities that make life worth living. Some of those activities can be found a short distance outside our gates – including a golf course and country club located right next door and miles of sandy beaches a short drive away. 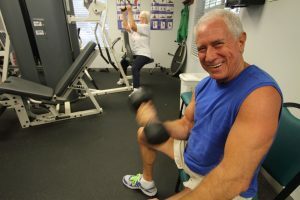 Fitness and exercise opportunities – We have a fitness center, aerobics room, indoor game rooms, and outdoor courts for tennis, pickleball, bocce ball, plus horseshoe pits, so that you’ll never run out of ways to work out and stay fit. We also offer three pools – one at each clubhouse – including a lap pool. A variety of gathering spaces – We know our residents love to get together for cozy chats and big, boisterous celebrations. So we offer a spacious banquet hall with a dance floor, a tiki hut, a lounge with a fireplace, a covered porch with rocking chairs, plus rooms for friendly card games and whirlpool spas that allow our residents to relax together. We’re sure you’ll see the benefits of living an affordable Central Florida lifestyle as soon as you drive through the gates of our active adult community. Contact us today to schedule a tour of Bear Creek.